It’s been close to 40 years since frequent flyer programs were introduced, offering Members amazing perks and benefits to loyal airline Members. It has since morphed into a complex business, with a greater number of status tiers and benefits, partnerships and ever-evolving travel rules and restrictions. To differentiate their Programs and drive Member satisfaction, airlines need to keep up with the shifting currents of airline Loyalty. 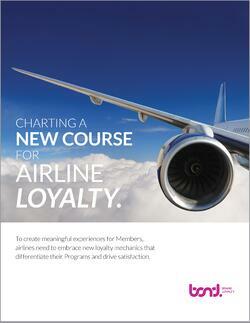 Six ways to break away from traditional airline Loyalty mechanics and shift the Loyalty paradigm . Download your copy now by filling out the form!